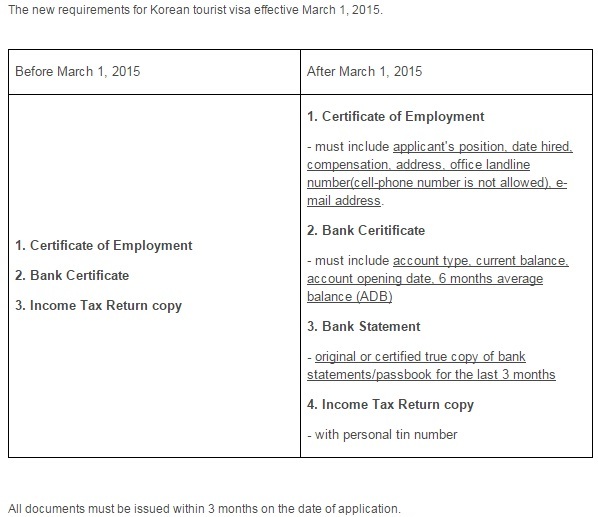 The South Korean Embassy announced recently its new documentary requirements for those who would like to get Tourist Visas to South Korea. I have written about the Requirements for Tourist Visa before during my first visit last 2012. But last February 17, the embassy announced new requirements which will take effect starting 01 March 2015. This means that all applications which will be received by the embassy from March 01, moving forward should have the following requirements. Below is the screen shot I took of the announcement posted at the South Korean embassy website. It’s unfortunate that the embassy has become more strict and more thorough when it comes to their requirements. In a hindsight, they are actually asking for the same requirements like before, the difference is that they are more thorough and specific with the information that should be included in the posting. For the Bank Certificate requirements, these information can be requested from the bank itself once you asked for the certificate. In my opinion, what is a bit tricky is for those whose bank account does not usually show a regular flow of savings or input of money. For those who maintain a regular savings account and regularly deposit in their account, any of the changes indicated by the embassy is not a big deal. My impression is that the embassy wants to make sure that there is a regular input of money or savings in the bank account, and not a one-time, big-time kind of thing. For those who have regular savings account, you must now collate the account statements usually sent by our banks once a month. For BPI account holders, you can actually print this on your own if you have a BPI Express Online account. Again, my impression is that the embassy wants to see the regular input-output of your finances. Lastly, a bit of a reminder for the submission of ITR. Sometimes, we have to verify with our respective HRs if the TIN numbers reflected in our ITRs are correct. For example, my good friend (who was with me during my last Korea trip) discovered that there is a discrepancy in her TIN number when she submitted her ITR certificate during her visa application. While it is not of her own doing, she had to personally verify with our HR (and yes, only to confirm that there was a problem in the inputting of her TIN) and sort the problem herself at the BIR office. Of course, in the end she was given a visa — but the bottom line is that this proves that the embassy thoroughly checks every document we submit. Good luck on your Visa Application and just remember that after all the hassle of making sure your documents are in order — it’ll be all worth it as soon as you land in South Korea and you see just how beautiful and wonderful your experience will be. 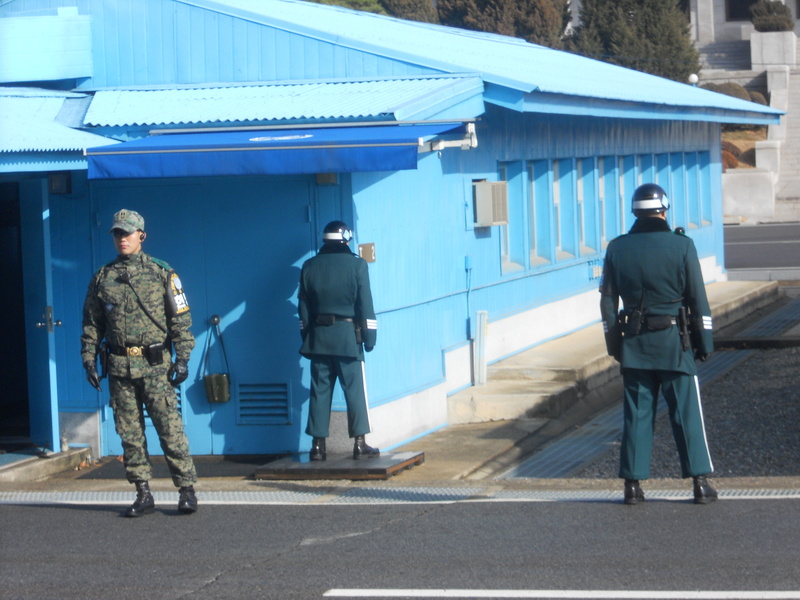 Seoul on Budget: DMZ + Final Expense Tally at 20,000plus! 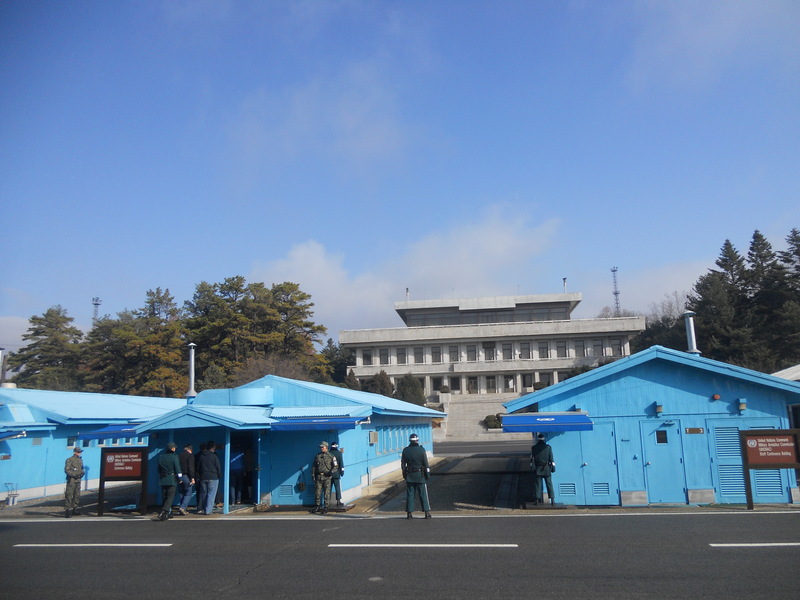 I was able to check one of the items off my bucket list during my last Seoul trip: be in two places at the same time by having one feet in North Korea and the other at the South — thanks to the wonderful DMZ Panmunjeom (JSA) Tour I booked online. 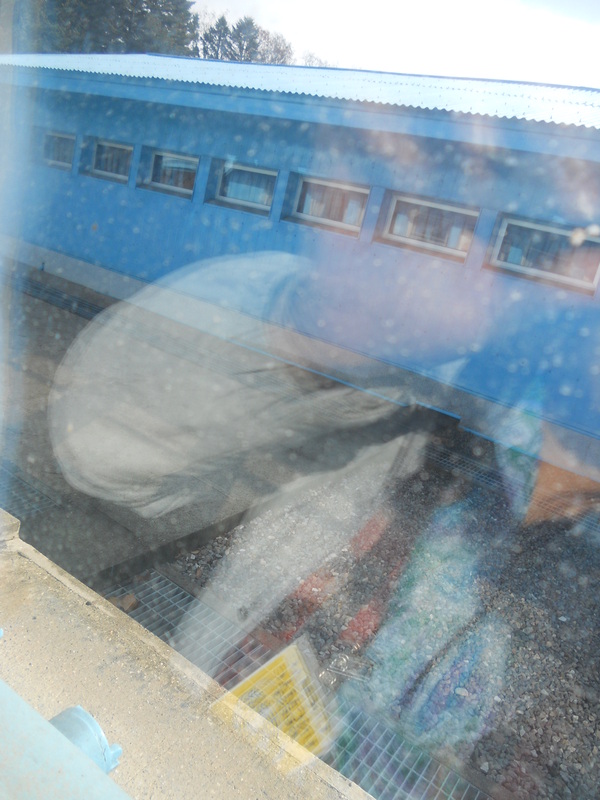 For our final day, we didn’t schedule anything anymore since we are certain that the whole day will be spent at the DMZ. The itinerary given to us also indicated that we will be returning to Seoul around 4PM, due to the hour and half drive from the border. I’ve written a more detailed description of our fourth day here. For souvenir items, our guide told us about North Korean wines, BB and CC Creams, North Korean won, mugs and shirts being sold at the Panmunjeom Visitors Center. The waivers we signed prior to the tour was also handed back to us, with our guides noting that it would make a good souvenir for the visit — personally, I think it’s because the signed waivers really didn’t have any use at all at that point. After all, we emerged unscathed from the experience. So, aside from the DMZ shirt (for KRW10,000) which I bought my dad (who loves to collect shirts from the places we visit), the DMZ magnet currently in the fridge (KRW5,000) and a pair of Korean wooden wedding dolls (KRW5,000) I also bought a DPRK 100 won for KRW5,000. Both items I intend to frame one of the these days, but right now — still currently stuck somewhere on the top drawer in my room. After we were dropped off along the vicinity of City Hall, we just decided to pass time at Dukseogong Palace which is just right across the street and have an early dinner at the nearby Dunkin Donuts (KRW5,000). Then, we decided to hang out at Insadong, the artsy district in Jongno-Gu, with the intention to walk home and retire to bed early in time for our 12NN flight back to Manila the next day. A famous hang-out place in Insadong is the Ssamzie-gil Mall Complex, composed of rows and rows of shops selling artisal crafts and products, organic cosmetics and food materials as well as artworks. I read somewhere that it’s one of the cool places to hang out in Seoul — where you can indulge in a bit of shopping (if you are the artistic type) or hang out in one of its many cafes. Maybe I’ve had too many coffees already while in Seoul or maybe I just found the items on the pricey side so I didn’t enjoy window shopping at Ssamzie-gil. 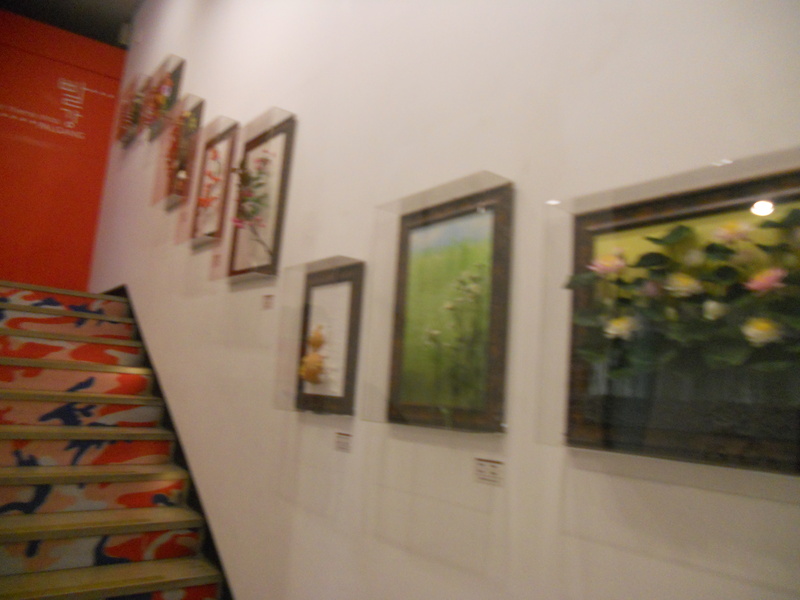 What I did enjoy though was people watching and taking photos of the art works displayed. The next day, we checked out of Stay-In-GAM at 8AM in the midst of pouring rain. Kevin, ever the gentleman, gave me one of the umbrellas at the stand amidst our protestations and declarations of “we’ll be fine”. We walked to the opposite side of the road to catch the same bus (6011) heading to the airport. We arrived at the airport by 1030AM, just in time to go through the whole check in process and grab a quick bite to eat at the Dunkin Donuts nearest the waiting lounge for the Air Asia flight back to Manila. I also made sure to drop by Starbucks to buy the requisite Seoul City mug. As you can see, we really didn’t pass up on the souvenir shopping and the endless eating. We know that we are on a strict budget but we also managed to maximize our expenses during the trip. Minus the air fare, the trip cost me only about PHP20,000 — quite a bargain already considering I went to a lot of places, had fun shopping and even fulfilled my long-time dream of seeing the DMZ. 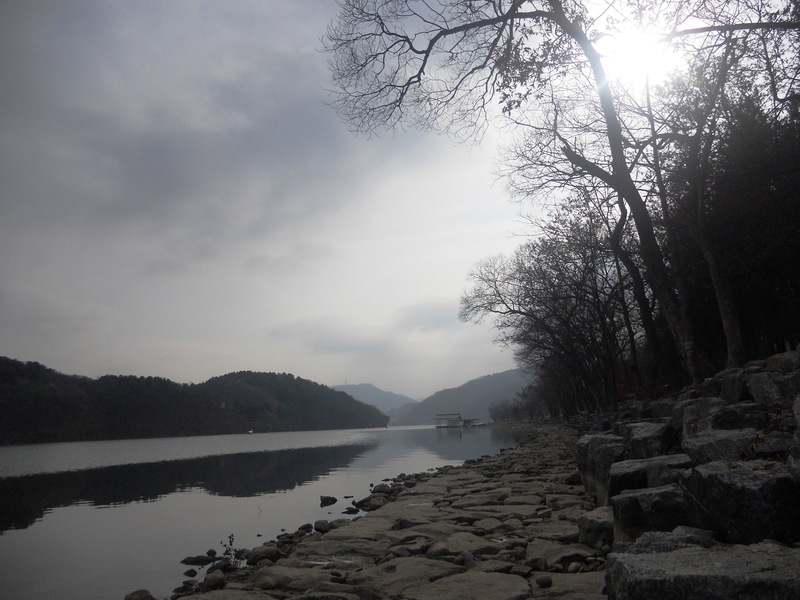 If you want to follow this itinerary, feel free to use the itinerary and information for booking the Nami Island tour bus as well as the DMZ Tour agency. Who know? You might be able to spend less than I did! I look forward to reading your itinerary. When I started this blog, my reason was to show everyone how going places don’t have to be extensive. I have detailed my travels in Taiwan, South Korea and Japan, expressing how by proper planning, one can always go where your wandering can take you without the prohibitive cost. But as time goes on, I noticed that I have been remissed in featuring places from my own country, the Philippines. When I was younger, I had the pleasure of being able to go places just because I work for Negros Navigation (now 2Go Shipping), which was one of the country’s longest-serving inter-island shipping company. My stay with Negros Navigation allowed me to see Palawan, Cagayan de Oro, Roxas City, Bacolod, Iloilo, Cebu, Aklan, Boracay, Marawi and Iligan all while serving thousands and thousands of Filipinos who still travel and traverse this country and its many islands through passenger ships. I met a lot of wonderful people–dedicated people actually–whose living was directly correlated to Tourism. They were the many tour guides, ship captains, stewards & F&B people, the tourism officers who welcomed us to their offices and even the local businesses who never ceased to provide exceptional service to their guests. When I left Negros Navigation, my local travel also diminished greatly. The advent of low fares, plus my obsession with budget traveling, has made going to foreign countries more possible, and yes more affordable. This year, I vowed to visit the country more and make my version of traveling on a budget locally. 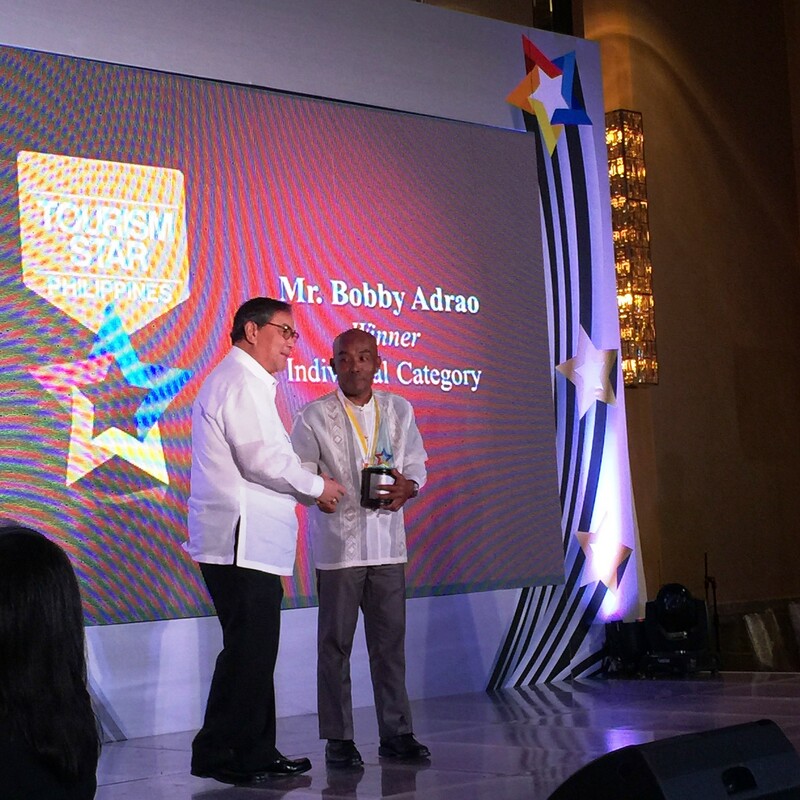 This decision was amplified when I had the opportunity to attend the Department of Tourism (DOT)’s awarding of its first-ever batch of “Tourism Stars” – comprised of a select group of individuals who was nominated and voted by the public who displayed commitment and dedication in promoting Philippine tourism. The Department of Tourism (DOT) honors today the first batch of individuals who have exemplified excellence and dedication in driving the Philippine tourism industry forward, under the Tourism Star Philippines (TSP) program. Tourism Star Philippines is a recognition program developed to celebrate the valuable contribution of Filipinos from the tourism industry, media, and local government units. Through TSP, DOT seeks to underscore the distinct Filipino brand of warm hospitality that marks our culture of tourism. 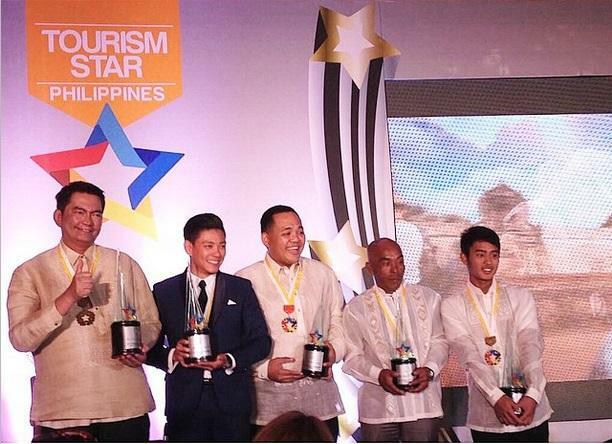 The very first roster of Tourism Stars include Gerry BieDalimag and Bobby Adrao for the Individual Category; Drew Arellano of Biyaheni Drew in GMA-7 and Anton Diaz of Our Awesome Planet for the Media Category; and Governor Joey Salceda of Albay for the Local Chief Executive (LCE) Category. Dalimag, a college student who serves as a local volunteer guide around the famous Callao Caves in Cagayan. At a very young age, he has helped in boosting the province’s local tourism by taking his guiding responsibilities to heart, which earned him the respect and commendation from various people and even the media. Adrao, on the other hand, is a licensed Butanding interaction officer and a dive master in Donsol, Sorsogon. In addition to advocating safe and environment-friendly diving practices, Adrao represents a Filipino tourism frontliner who goes beyond the call of duty to save the lives of an Australian couple who went adrift in the rough seas while diving due to inclement weather. Popular celebrity Arellano headlines a local TV show called Biyaheni Drew, which features fun travel adventures in different Philippine destination every week. Known for his quirky and entertaining brand of hosting, Arellano successfully embodies the “It’s more fun in the Philippines” concept. Diaz, meanwhile, is the man behind Our Awesome Planet (https://www.ourawesomeplanet.com), a top lifestyle blog that showcases the best of food and travel destinations in the Philippines. 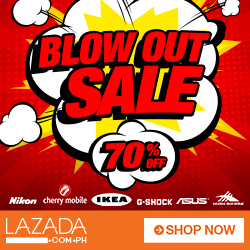 Founded in 2005, it has generated thousands of followers and readers that are able to share his experiences and discoveries in various places in the country. 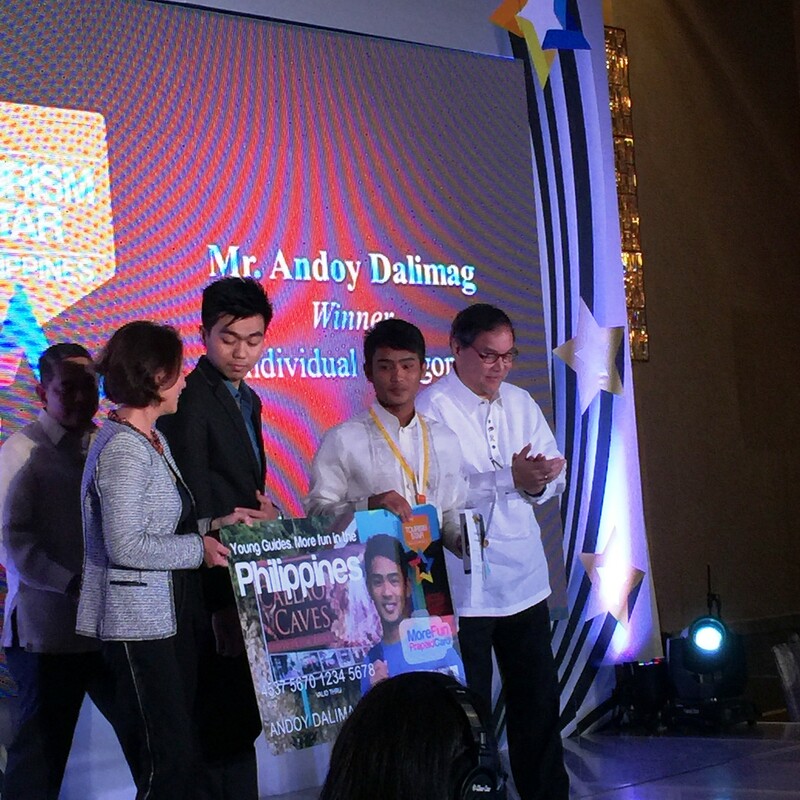 Governor Salceda, who is receiving the award in the LCE category, led the Albay region’s phenomenal growth in tourism as it rose from the ruins of disasters that stunted the province for decades. As former economic adviser to previous presidents, Governor Salceda has successfully implemented a comprehensive tourism work program in Albay, bringing to the fore various regulations and investment projects to achieve significant tourism development. Anchored on DOT’s It’s more fun in the Philippines campaign, the Tourism Star Philippines also marks a significant milestone for the agency, as it is part of the full implementation of the National Tourism Development Plan (NTDP) which leverages on public-private sector partnerships to improve competitiveness of tourism facilities and services, capacitate local government units, ensure sustainable tourism development and initiate focused marketing and promotions. Among the nominees received from February to June 2014, DOT implemented a rigorous selection process for those who demonstrated the strongest and deepest commitment to promote the country’s tourism in their own ways. For the Individual Category, nominations were received through the program website and through drop boxes located at domestic airport terminals nationwide. Meanwhile, Local Tourism Councils nominated their mayors or governors for the LCE Category by submitting the completely filled out nomination form with the documentary requirements to concerned DOT Regional Offices. Nominations for the Media Category, which was added two months after the launch, were solicited from Tourism and Travel Associations nationwide. After the screening process, a final evaluation was conducted by the TSP Screening Committee composed of representatives from the DOT’s Office of the Undersecretary for Tourism Regulation, Coordination, and Resource Generation (TRCRG) and Office of Tourism Standards and Regulation (OTSR), as well as the Development Academy of the Philippines (DAP), one of the program’s institutional partners. All submitted documentary requirements were validated through the help of the DOT Regional Offices and the local tourism offices. For the LCE Category, documents were rated using the following criteria: Institutional, promotions, planning and product development, regulatory, investments, and centrepiece projects with additional points in consideration of their support to DOT advocacies. Media nominees, on the other hand, were chosen based on the votes they received through online voting; content and substance and relevance of work to the Philippine tourism industry; impact and significant contribution to the It’s More Fun in the Philippines campaign; creativity and uniqueness of shows/ articles and information presented. Awardees of Tourism Stars Philippines will receive trophies and medals, as well as gifts from program partners: a pre-loaded More Fun Prepaid card from the Bank of the Philippine Islands (BPI), scholarship from the Technical Education and Skills Development Authority (TESDA), phones and tablets from MyPhone, and a kabuhayan package from Duty Free Philippines (DFP). “The Philippine tourism is undoubtedly the fastest growing industry in the country, taking on a significant role in our economy. 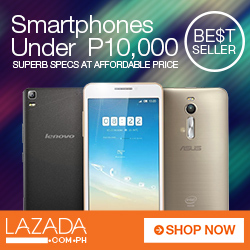 We believe that we owe this tremendous growth to our people. Without them, our destinations would only be a mere landscape. It is our people that give these beautiful destinations life and meaning. 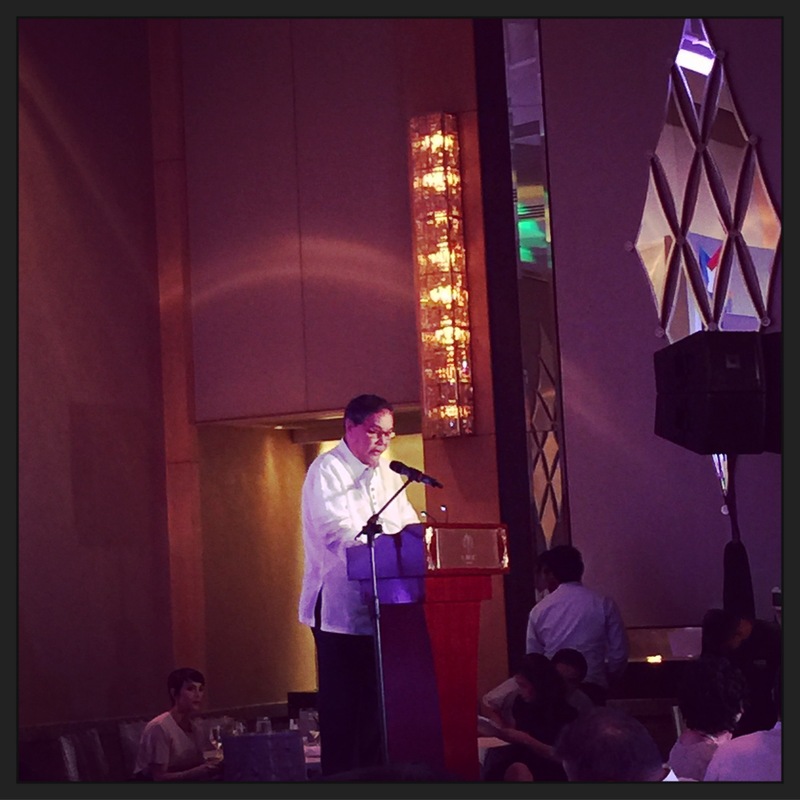 And the Tourism Star Program honors these individuals who truly make it more fun in the Philippines,” DOT Secretary Ramon R. Jimenez, Jr. said. Article is part of my coverage of the recently concluded Tourism Star Awards, made possible through the invitation of the DOT. 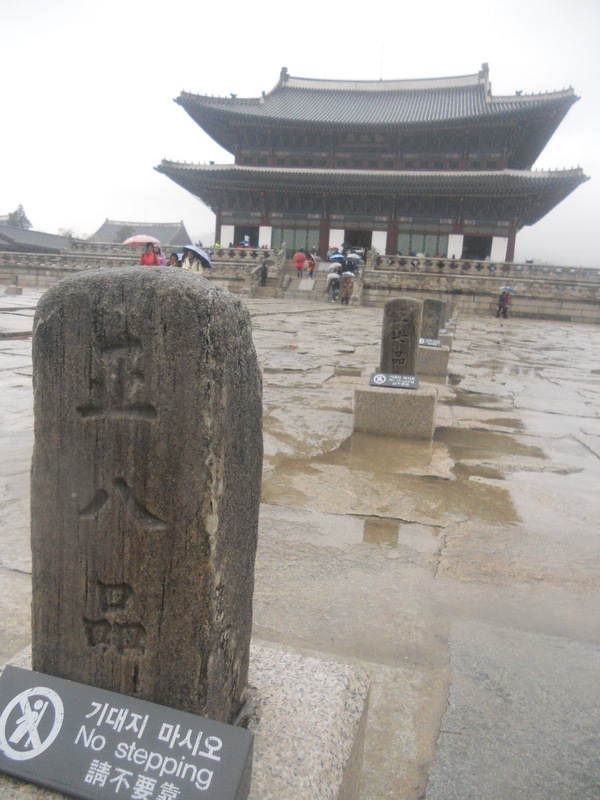 On our third day in Seoul, we decided to travel back in time and learn more about South Korea’s rich history. We woke up on the third day to a rainy, cold weather — the kind of cold that creeps up to your bones, forcing you to consider hibernating on the warm room (courtesy of the ondol heating). But we were in Seoul and just outside the door, if we attempt to go beyond the bone-chilling rain, awaited another day of adventure. 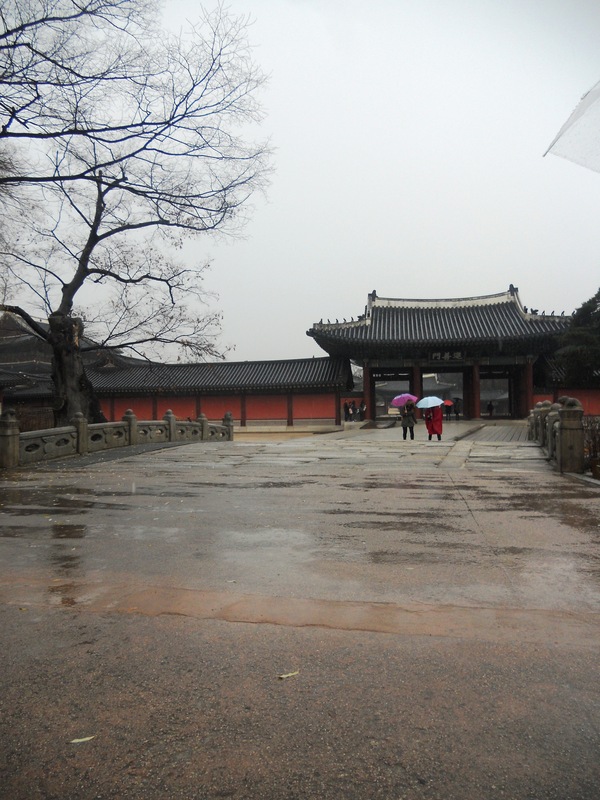 So, after layering and procrastinating — we were finally out the door and into the ticket booth of Changdeokggung Palace. 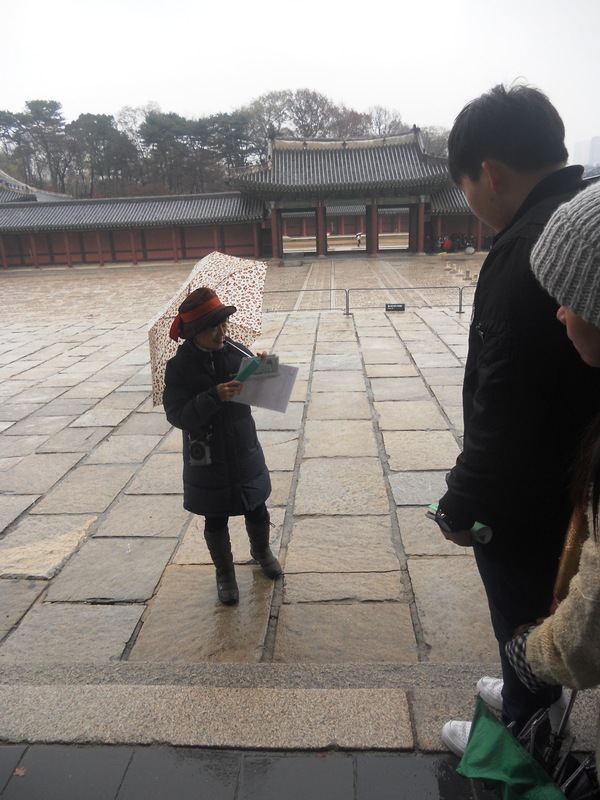 If you plan on spending a day palace-hopping in Seoul, I would suggest that you get the Integrated Admission ticket (4 palaces: Changdeokgung with entrance to Huwon (or the Secret Garden), Changgyeonggung Palace, Deoksugung Palace and Gyeongbokgung Palace) only for KRW10,000. This is a steal already, considering entrance to Palaces is usually pegged as KRW3,000 each plus a separate entrance fee for the Secret Garden at KRW5,000. 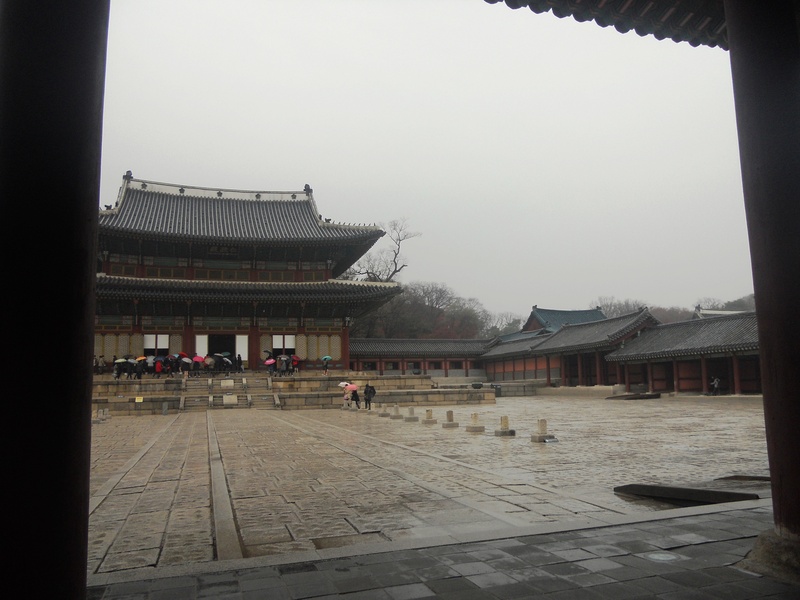 Since, we’re really not sure if we can visit all palaces during our stay due to the maddening rain and I really don’t want to commit myself, we ended buying the separate entrance rates (KRW3,000 + 5,000). We also availed of the English tour, which was offered at no extra cost. I know I mentioned in one of my post that I am the type who shun away tours but I think for historical places like the palaces, it’s important to see the place through the eyes of someone who knew its history. If I were to go around the palace on my own, a bed room is just a bedroom, but joining the tour gave me perspective of how, one bedroom was used by the Widow Queen when her husband the King died. When he died, she moved out of her shared bedroom and went to another house nearest the Secret Garden because she can no longer stay in the room she once shared with her husband. Our tour guide was also kind and interacted well with her group so the tour was never boring. 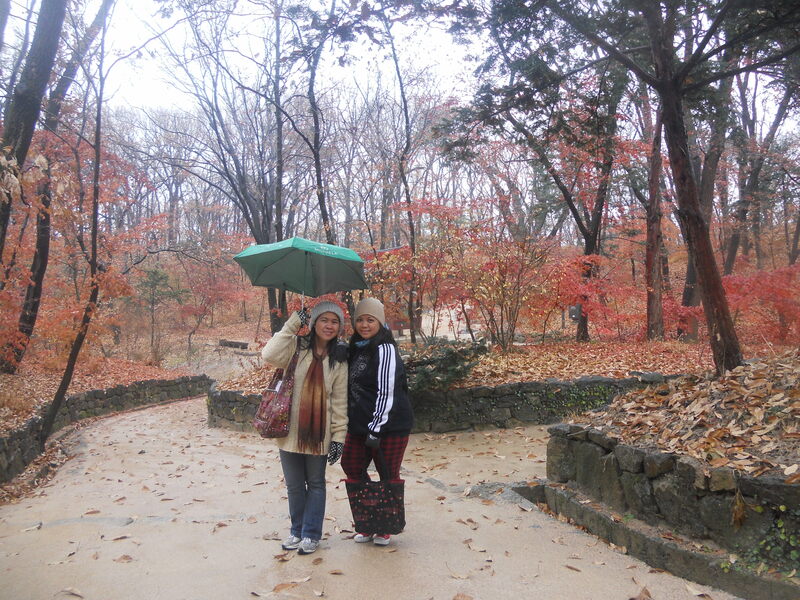 At the end of the tour, we were asked if we have separate tickets to the Huwon (Secret Garden) tour. We were then ushered to another part of the palace where another tour guide was waiting for us. Note — you can’t go on a tour of Huwon on your own. You have to be in a group in order to navigate the winding areas of the garden. A visit to the Secret Garden is a must-do for me. If you are in the Garden at the height of Autumn and Spring, expect a riot of colors out of the many flowers and trees inside the 78-hectare property. Originally conceived and developed for the pleasures of the Royal Family and the Palace courtiers, the Garden was originally off-limits to the public. The tour throughout selected areas of the garden can be a bit punishing, especially if you are like me who had bad knees and is an incurable klutz. 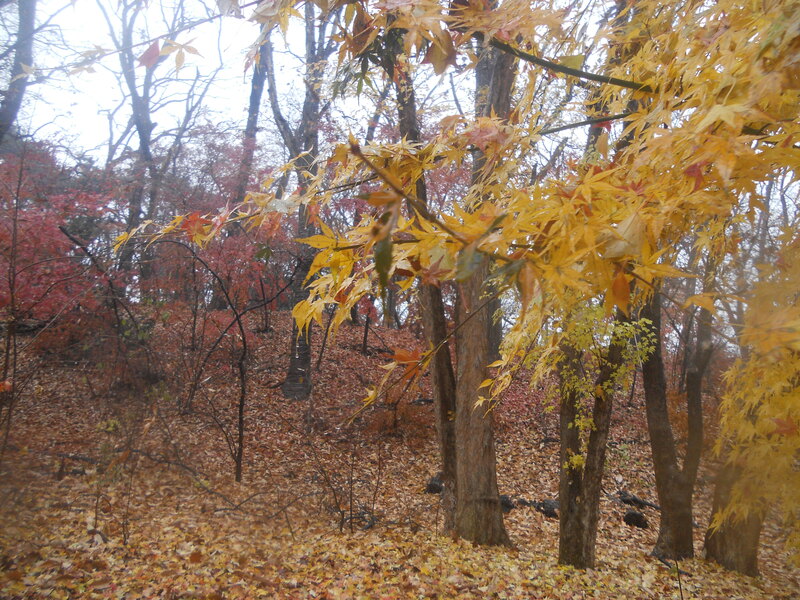 Didn’t help that it was raining and some areas of the trail was slippery, but it was worth hiking through the forest. Because we were soaking wet by the end of the tour, we went back to Stay-in-GAM to change clothes and have a quick cup of coffee. 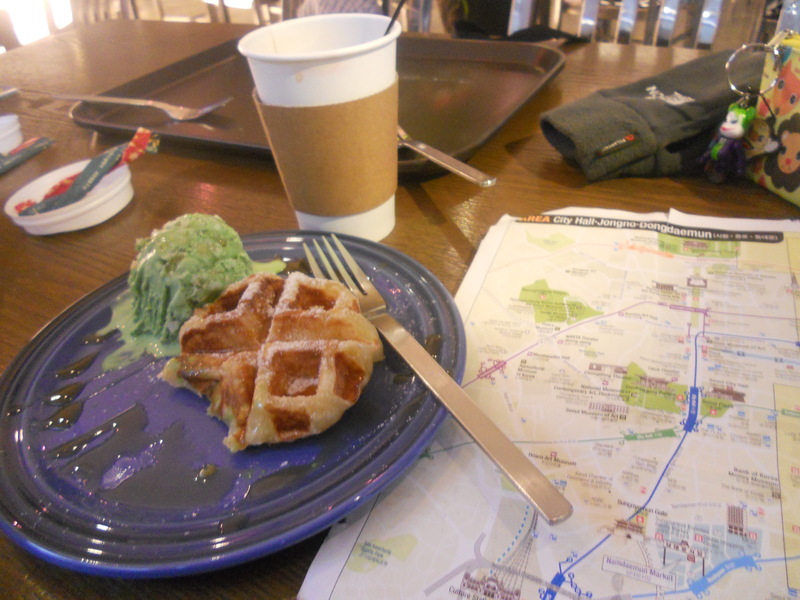 The fact that their waffle, coupled with Matcha ice cream was delicious also helped replenish our energy. 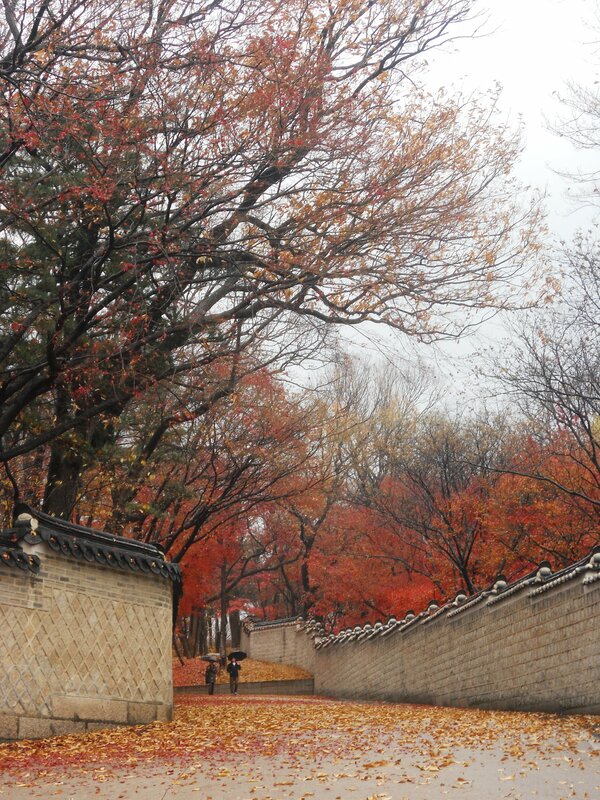 Re-energized and refreshed, we walked to Gyeongbukgung Palace where we decided to explore the palace grounds on our own. We were momentarily distracted by a cute guard who was dressed up in ancient warrior garb. 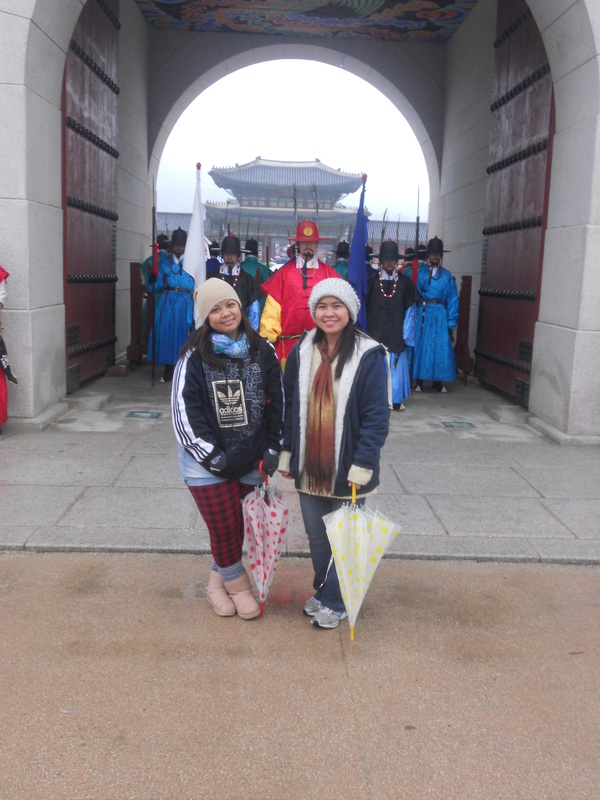 We then went on a tour of Gwangwahmun Square and the King Sejong statue then raced to Myeongdong where we had hoped to have our pictures taken wearing Hanbok at the Seoul Culture and Tourism Office. Unfortunately, unlike my 2012 visit where I just dropped by and immediately accommodated, we were told that we had to set an appointment before we can have our pictures taken. We ended up hearing the 6PM Korean mass at the Myeongdong Cathedral and having early dinner at one of the chicken places in Myeongdong. 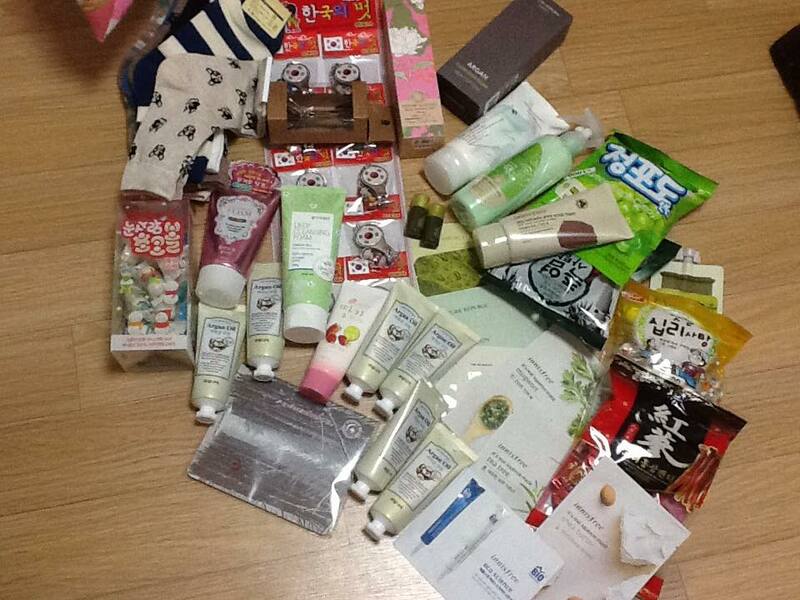 I ended spending around KRW40,000 (about PHP1,600), including tons of beauty products, candies, socks and even a really cool bag which was on sale for just KRW10,000. If you plan on shopping in Myeongdong, it can be a bit of a stretch for your wallet, but again the trick is to know what you want and stick to a budget (if you have any). The numerous beauty shops lining the streets were offering a lot of good deals (70% from Nature Republic and about 50% off on selected Innisfree products). This is the part 2 of the our budget breakdown for my Seoul trip last number (for part 1, go here). We woke up really early for our second day in Seoul because we decided to avail of the Nami Island Limousine, instead of embarking on a grand adventure like before (by taking the train). We decided to get a one-way ticket since we are planning to take advantage of Nami’s Proximity to Petit France and visit that as well. 1. Go to http://www.namisum.com and look for the transportation information. Click “Online reservation” at the bottom of the page. This will direct you to a page that you have to fill out. 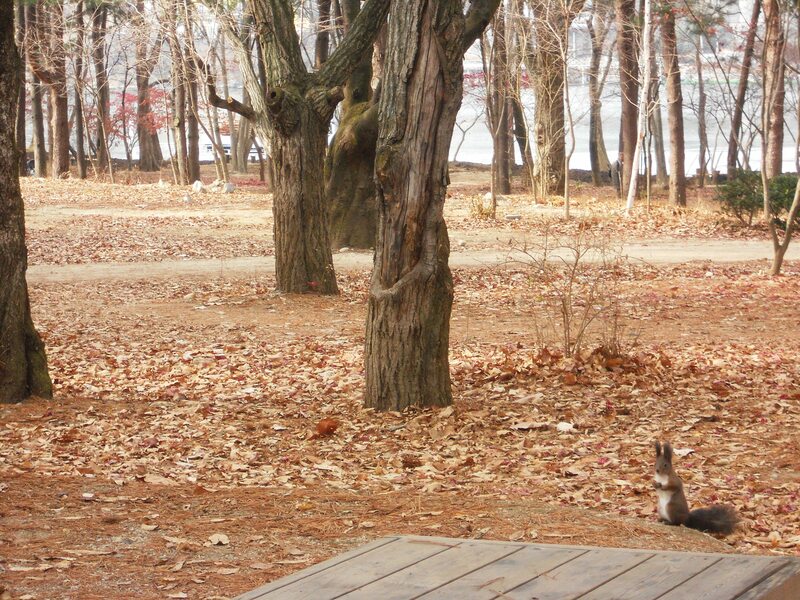 Round trip fare, including entrance to Namiseom Island cost KRW23,000 for foreigners. Since we opted to take the Shuttle Bus for one way only, we paid KRW15,000 (PHP639) each — this already includes our entrance. 2. In our case, the bus departs in front of Tapgol Pagoda Park in Insa-dong, a 10-minute walk from our hotel. Since we were disoriented by the direction, we started walking in the opposite direction going to the park. Good thing we were able to realize the mistake immediately and had to run to Tapgol Park where we found the bus driver already checking passengers from his list. Note that the drivers are very strict when it comes to reservations, so it is recommended that you reserve a slot. We saw some people trying to buy ticket on the spot to no avail. You will pay on the spot, to the driver after you have checked your name on the list her carried with him. 3. After going onboard, you can start relaxing. Travel time going to Namiseom is about one and a half hours. Since we already have tickets, we didn’t need to line up along with the other tourists who were all cramming to get to the approaching boat from Nami. (Note: if you are adventurous, you can cross the lake going to Nami by taking their infamous zipline). One thing we love doing while in Nami is buying instant coffee or ice cream in the convenience store and consuming it while sitting in the fireplace. Coffee is about KRW1,000. 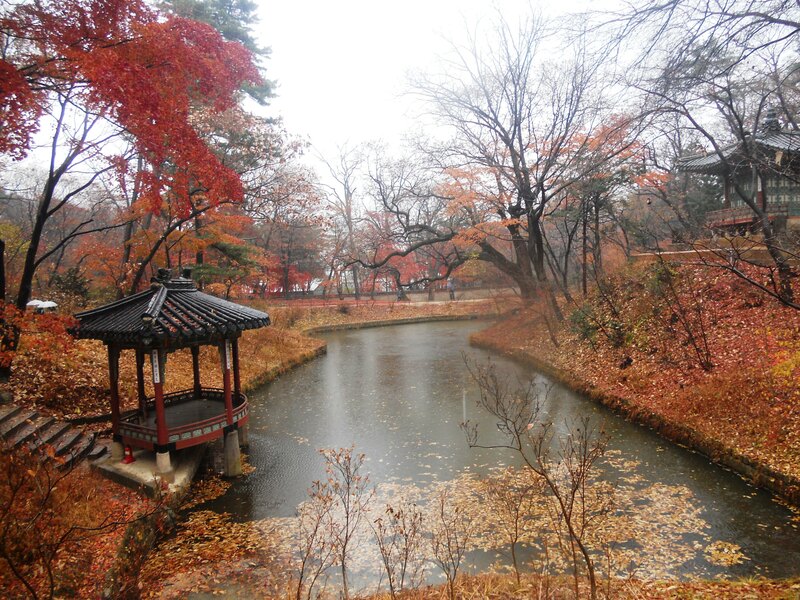 As indicated in my earlier blog post, Nami is the location for the famous Korean drama “Winter Sonata”, so there are a lot of attractions in Nami that is based or used in the drama. Before leaving, we decided to have a quick lunch at the newly-constructed food hall located at the middle of the Island. 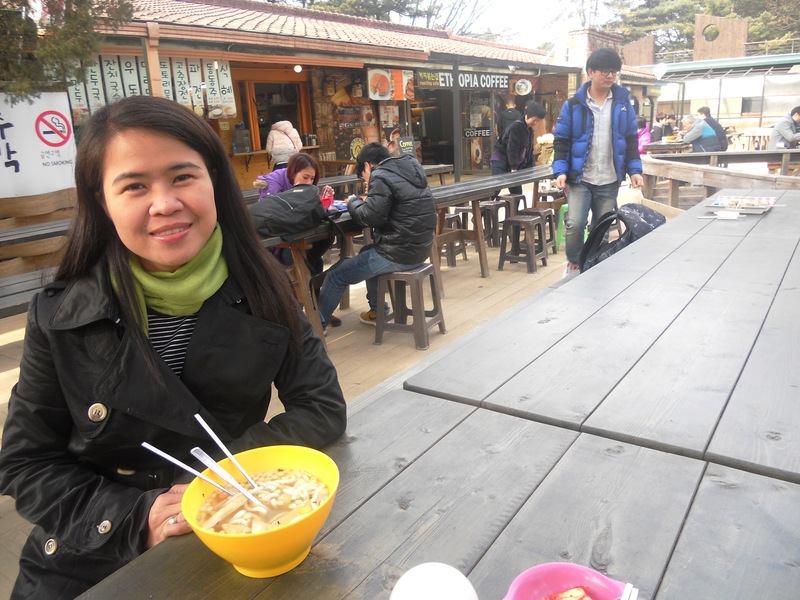 We chose a vendor selling udon noodles and literally had a hearty lunch that warmed our stomachs amidst the very cold weather. After enjoying the sights of Nami and playing with the many squirrels that were feeding on the dried nuts in the island, we decided to wing it and go to Petit France, one of the locations for the hot Korean drama, “My Love From the Star (You Who Came from the Stars”.” Jun Ji-hyun has always been a favorite since I first saw her in “My Sassy Girl” and her role as the bratty, clueless actress with a heart of gold, Cheon Song-Yi opposite the charming Kim Soo-hyun (Do Min-Joon) resulted to too many nights trying cramming episode after episode of the drama. 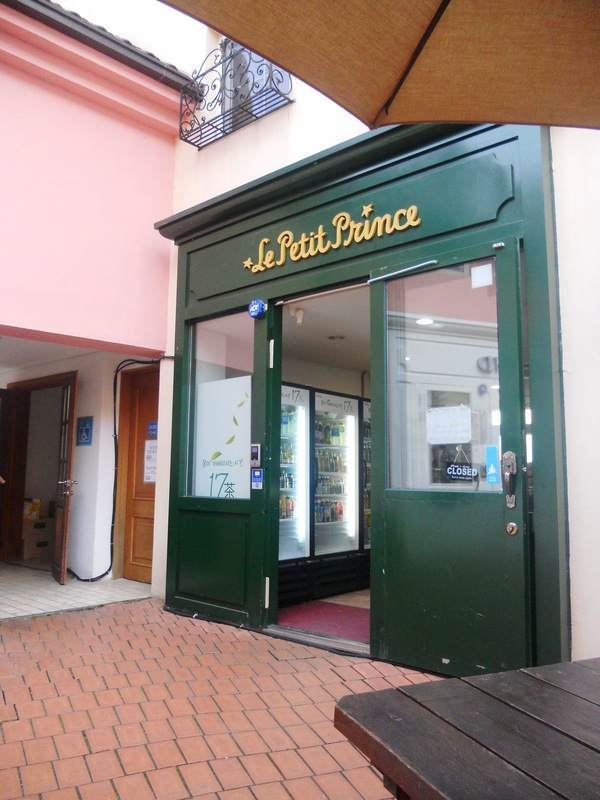 After realizing (after tons and tons of research) that Petit France is located also in the city of Gapyeong, we made sure to make it part of the itinerary. 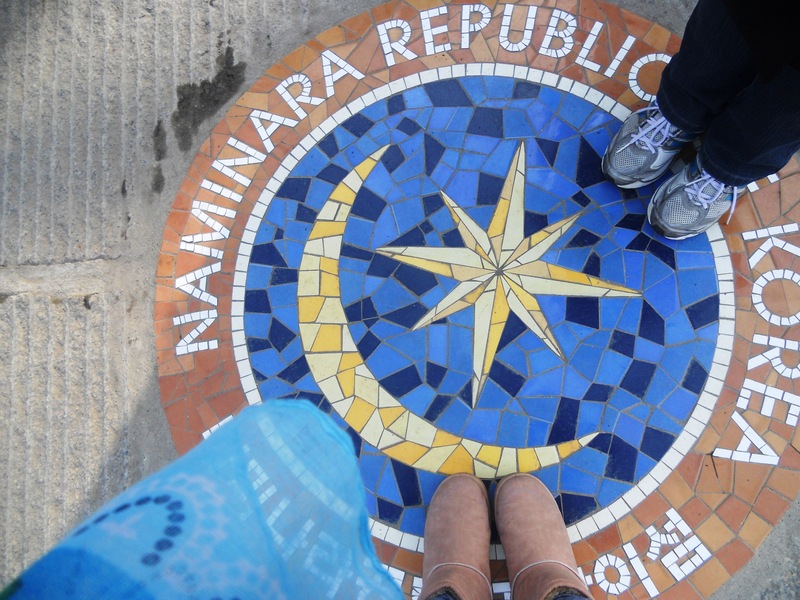 The initial plan was to go to Petit France via the Gapyeong City Tour Bus, which picks up and disembarks passengers near the waiting shed just outside the outer gates of Nami. 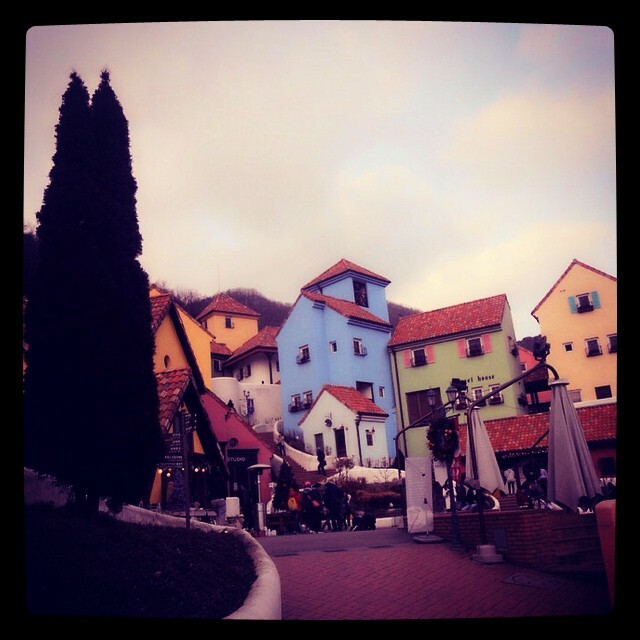 Fare for the whole trip is just KRW5,000 and you can hop in, hop off as you see sights of the city of Gapyeong. The initial plan was to go to Nami then to Petit France and then to The Garden of Morning Calm (another location for one of my favorite K-Drama, the kitschy, “so-bad-it’s-good” Full House 2) but since we were running out of time and we had no idea how far Petit France was from Nami, we decided to wing in and take one of the numerous cabs lined outside Nami. I read somewhere that the two attractions are near each other, I guess I read wrong. We were traversing mountain sides, zigzagging across crooked roads as we go farther away from Namisum. Sometimes, there was barely another vehicle in sight (take note, this was only at 2PM) and clusters of houses are farther and farther in between. My over-active imagination, the one who watched too many slasher flicks started playing into overdrive – the driver was silent as he navigated the quiet, winding roads while my friend and I tried to fill the tiny cab space with nervous laughter. At first, I was curious if we were lost but the driver seemed to know the way by heart. 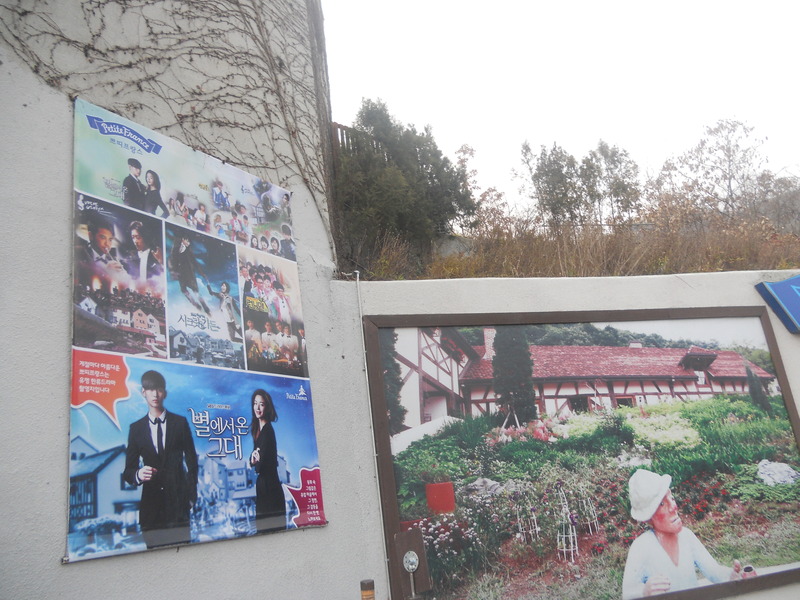 I guess we were just another bunch of foreign fans who trekked to Gapyeong on a K-Drama pilgrimage. After what seemed like forever and with almost KRW30,000 registered at the meter, our driver finally stopped in front of a somewhat non-descript attraction betrayed only by the large tarpaulin in the entrance. Petit France is a little village constructed to look like a charming, little French village. The houses and the entertainment available are all French-inspired, carrying the timeless classic, “The Little Prince (Petit Prince)” as the central theme. Recently, this little attraction had a resurgence of visitors after it was used as one of the filming locations of “My Love from the Star.” It was also a filming location for another K-drama, Beethoven’s Virus. 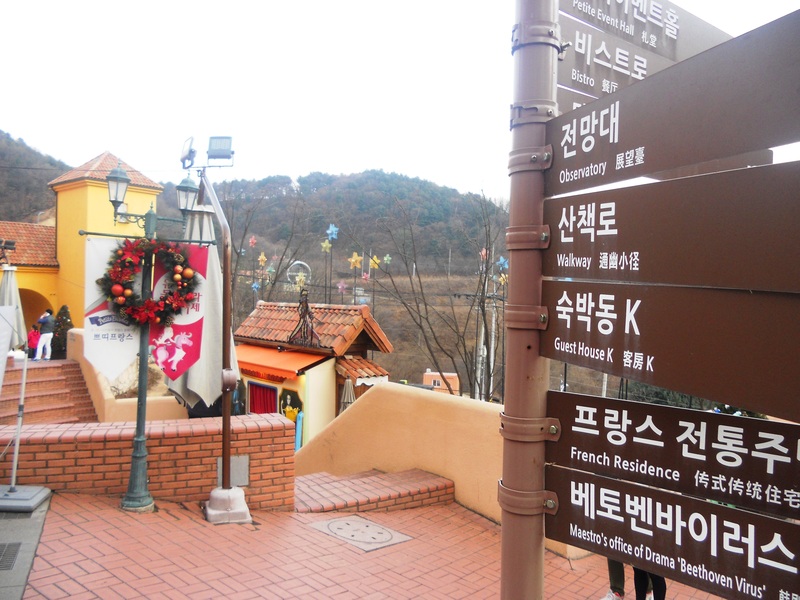 Entrance to the village is KRW8,000 for adults, KRW6,000 for teenagers and KRW5,000 for kids. Movie-magic has a way of making Petite France looks huge and spacious. Well, in reality it is not. You can see the whole village in less than 45 minutes tops, 30 minutes tops if you are the type who gets easily bored with gaily colored buildings. The site offers many “European” attractions like puppet and entertainment shows, there’s also a doll museum plus exhibitions dedicated to Antoine Saint Exupery, the author of The Little Prince. Images of the Little Prince and all the other characters in the book was scattered and depicted in every nook and cranny of Petit France. For K-Drama addicts, there’s a photo studio where you can pose with cut outs of Do Min-Joon and Cheon Song-Yi. While Petit France is a nice item to tick off your travel list while in Korea, it’s not exactly something that will blow your socks off. 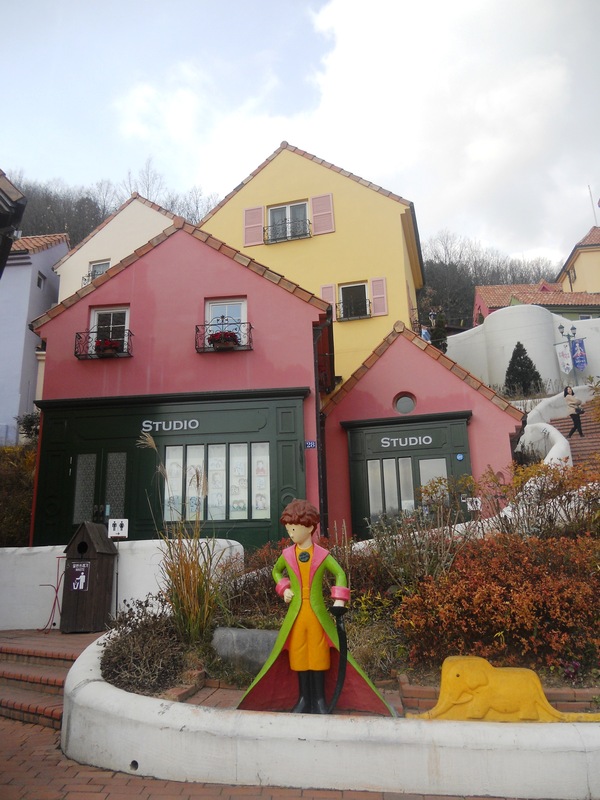 As someone who easily gets bored, even while traveling, there’s really not much to see in Petit France after you have visited the exhibits, oggled the houses, posed yourself silly to the many nooks and locations, had your fill of the Little Prince and K-Popped yourself to death. In our case, we decided to pass time in one of the little cafes near the entrance and sampled their strawberry waffle with a scoop of ice cream (KRW4,000). Honestly, if we were to rate the Petit France experience, it’ll be a 6 out of 10. 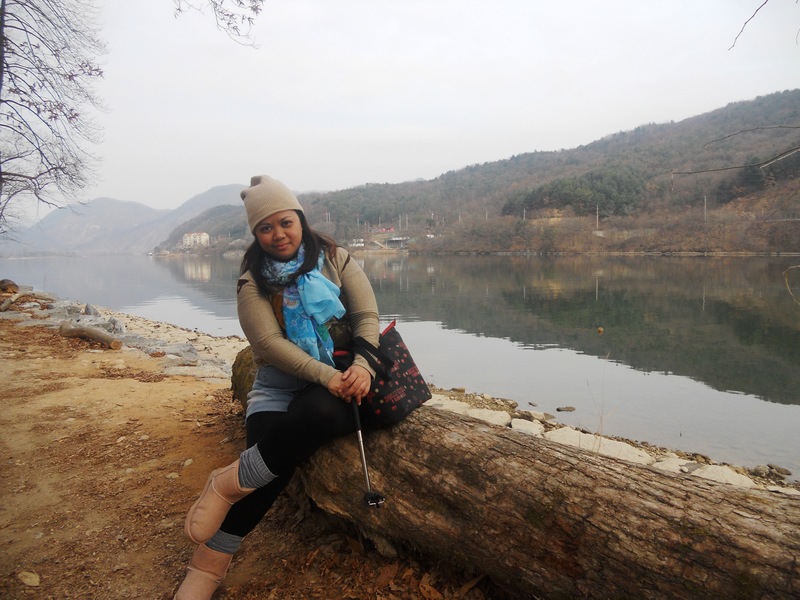 Something nice to experience, but definitely something that can also be placed on the second tier of “must-visit” places in Gapyeong City. Since it was already close to 4PM, we had no choice but to miss “Garden of Morning Calm” and save it for another South Korea trip someday. 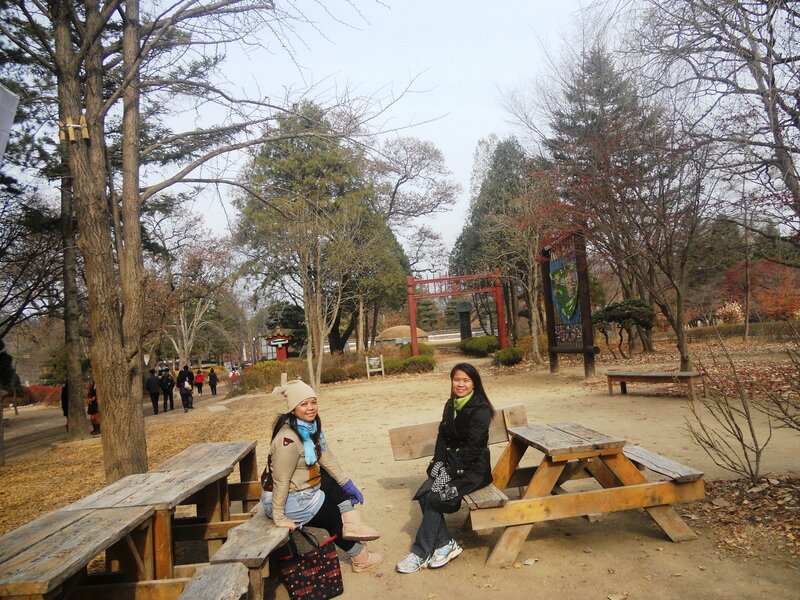 Going back, we decided to take the Gapyeong City Tour Bus which stops on the waiting shed just across Petit France. We paid KRW5,000 directly to the driver who kindly informed us that bus direction is going to Nami then to the Gapyeong train station where we hope to catch a train going back to Seoul. The driver, a kind elderly uncle quipped that we should have gone to Gapyeong at an earlier time so we could maximize the KRW5,000 hop on, hop off bus fare. He seemed to be worried that we were paying the full price for just partial of the trip. We assured him that we don’t mind and that we enjoyed looking at the country side. We missed the ITX train headed to Seoul so we decided to take the regular trains and paid about KRW2,000 as part of the regular fare. 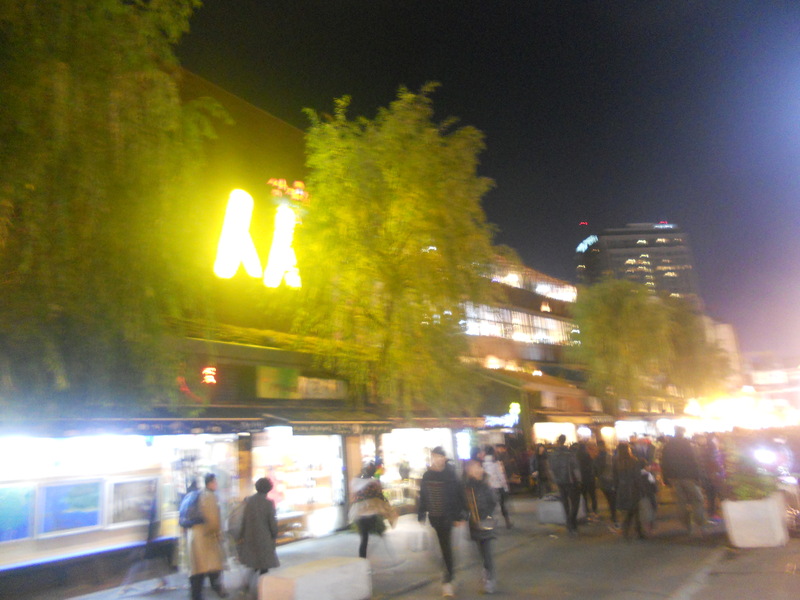 At Seoul, we stopped at Nandaemun to window shop, then moved to Dongdaemun Design Plaza to hang out and people watch. We ended the night traversing the 10 kilometer Cheonggyecheon Stream, which cuts across Dongdaemun Fashion Town, Cheonggyecheon Stream Culture Center, up to the Gwangwahmun Square, and covers almost 10 subway stations. 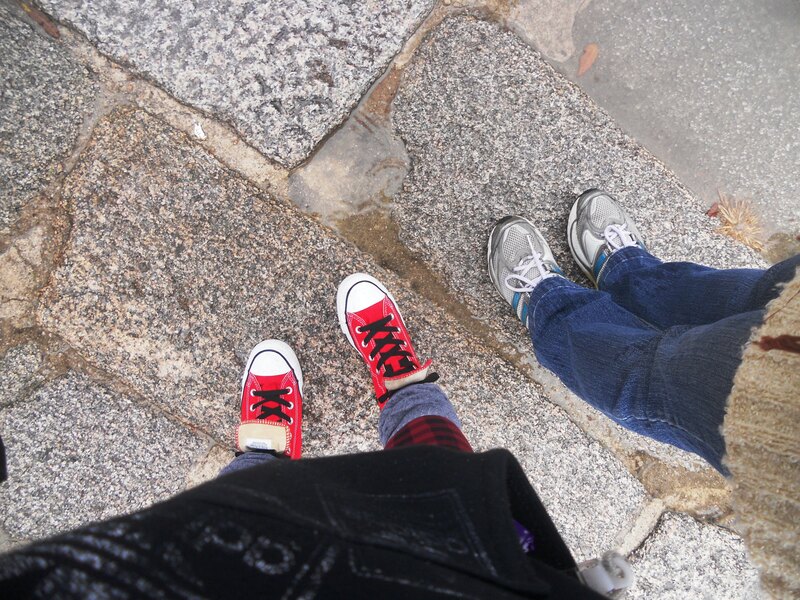 Maybe we were crazy, or we were enjoying the cold Seoul weather so we didn’t mind the long walk or the many couples on full PDA-mode along the stream (can be a bit lonely if you’re walking on your own and you are broken-hearted). There are some parts of the stream that are a bit dark due to the foliage and bridges covering the area, but we felt safe and secure the whole time. Even if the stream is in the middle of busy industrial area, the water is clear and there was no unpleasant smell all throughout the 10-kilometer path. 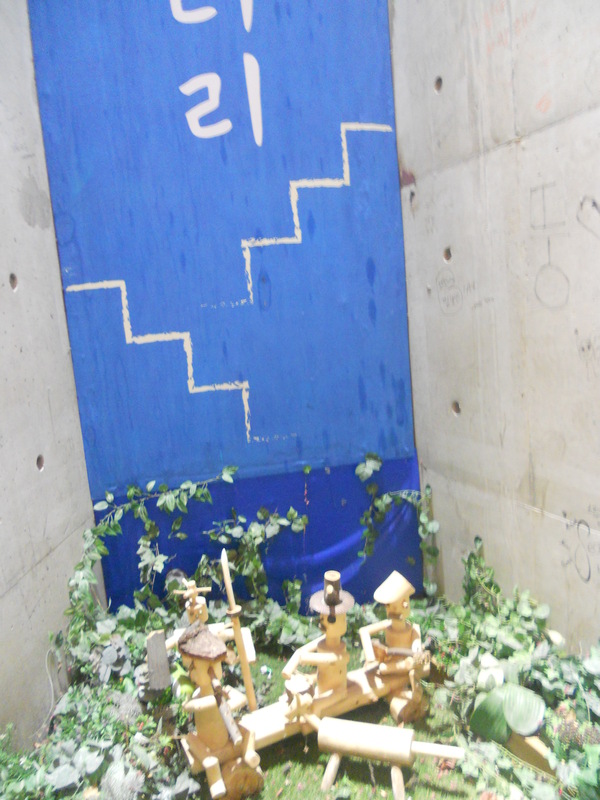 We ended the walking tour at the Cheonggyecheon Stream Plaza, a few meters away from the Statue of King Sejong. By this time , our hands were numb with cold and our feet were killing us, so we hightailed it back to our hotel.